What’s in a Print Aura Package? 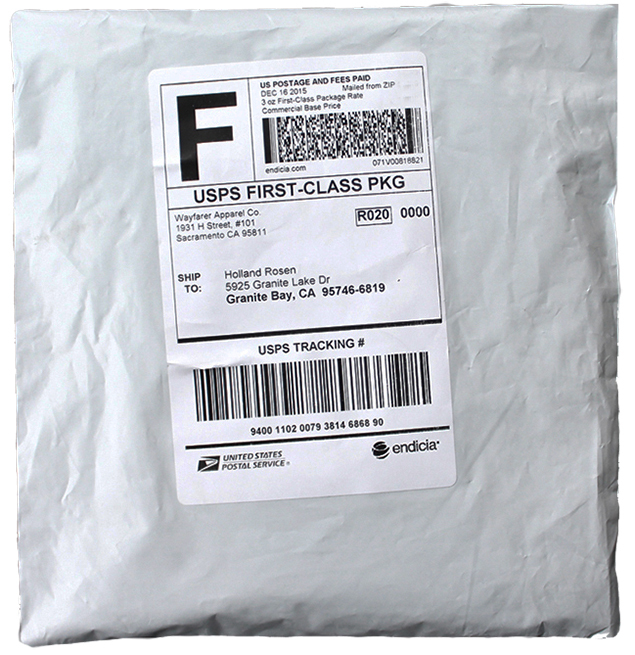 Most garments are shipped in white polymailers. A shipping label is added that will have a return label featuring your business name and either your address or ours depending on your settings. 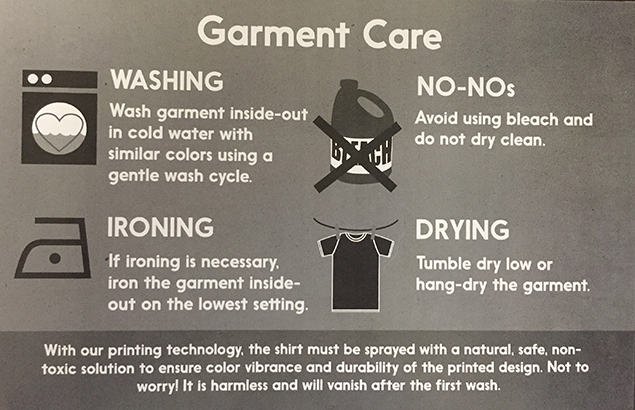 We include a complimentary garment care card with all of the items that garment care applies to. This will instruct your customer how to care for their items to keep them in great shape for a long time. 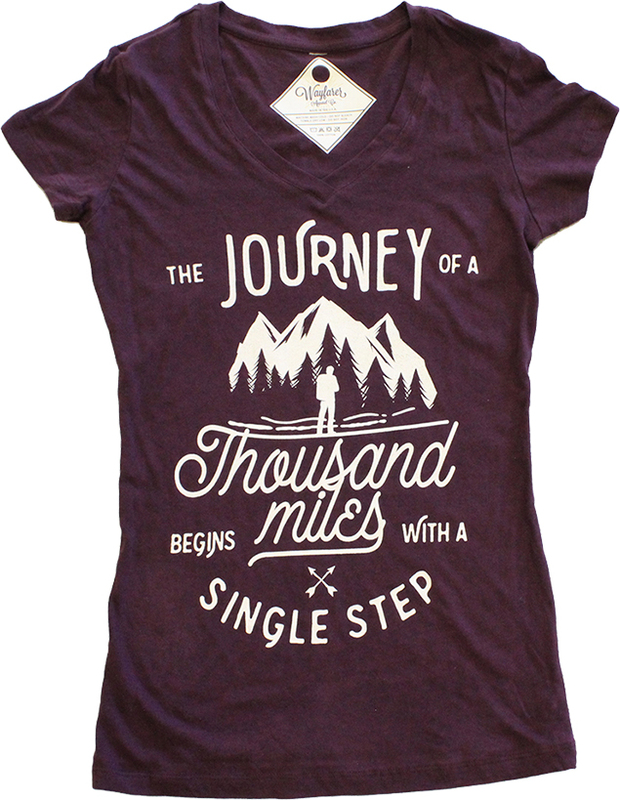 The slip will include you brand's logo if you have uploaded one, along with the product information and order information. 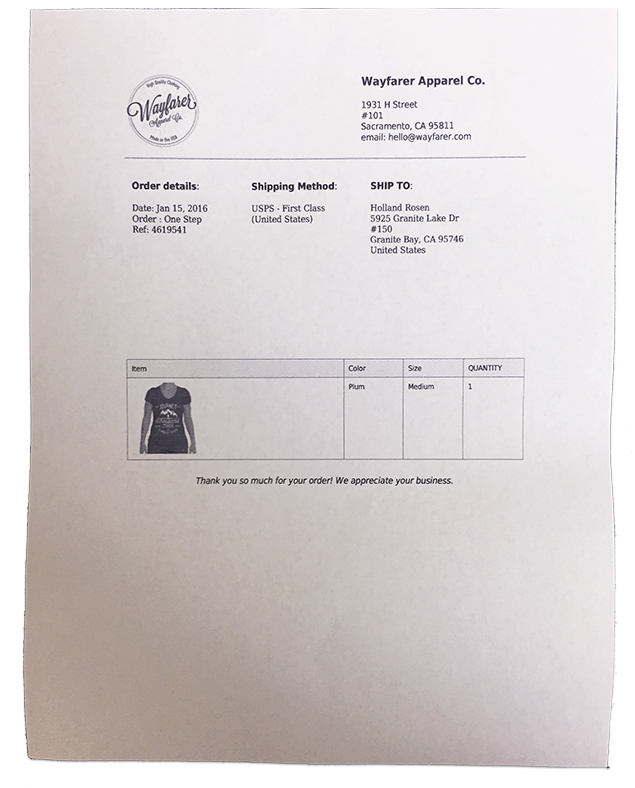 Once again, this packing slip will appear as if it was generated by you, not Print Aura. The main star of the package! Check out our branding services page to learn more about all of our options.